Strawberry, Vanilla And White Chocolate Scones.. Fancy trying the Strawberry Scones? Recipe developed and photographed by Erik Houlihan-Jong. Become the hero of Elevenses with these delicious Wimbledon inspired scones. These pack perfectly in a picnic basket, ready to be pulled out keeping hunger at bay. 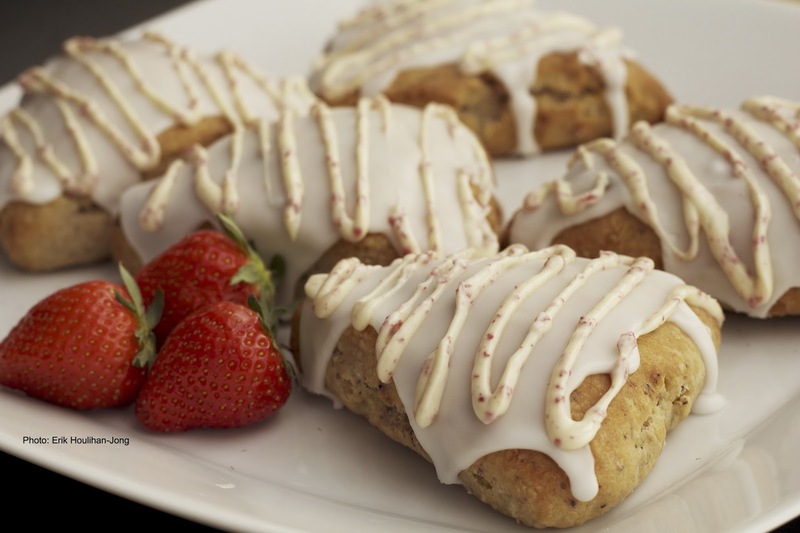 Flavoured using the aromatic Clipper Skinni Vanilli Tea and drizzled with Divine Chocolate’s White Chocolate with Strawberries, these scones are sure to be a hit. Rip open the tea bags and tip the contents into a bowl. Fill with just enough boiling water to cover the tea leaves; this will create a lovely aroma as the tea steeps. 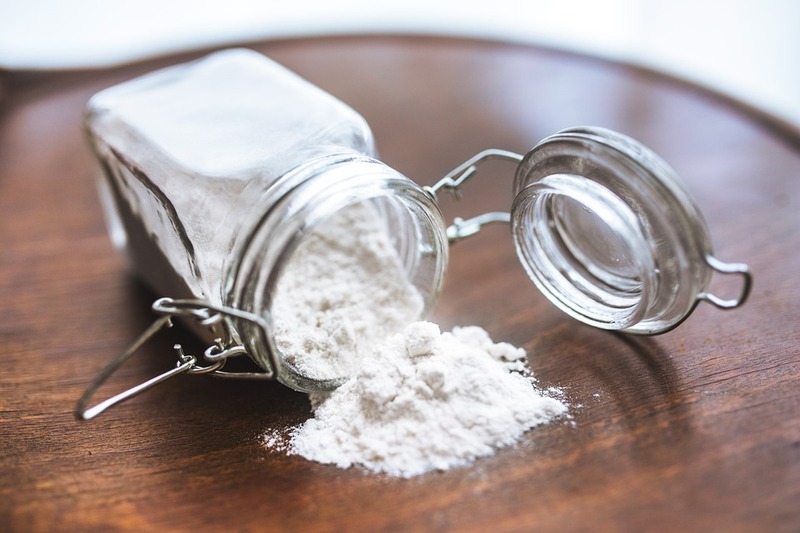 In a large mixing bowl combine the flour, sugar, baking soda, baking powder and salt. The butter should be fridge cold. Using your fingers, work the butter into the dry mixture until it resembles coarse crumbs. Add the yogurt and tea to the flour mixture. Mix together, but make sure you don’t over work it. Chop the white chocolate into small pieces before folding evenly into the dough. Using a rolling pin make into a round shape approximately 20 cm across. Cut into 6 triangles. Place on a baking sheet lined with greaseproof paper. At this point, I made sure they were pressed back into a perfect triangle shape. Bake for 15-20 minutes, or until brown. Combine confectioners sugar and milk. Whisk until smooth. Adjust the consistency with more milk or sugar. It should be stiff enough so that it flows, but not so much so that it rolls right off the edge of your scone. To make the drizzle, chop up the chocolate into small pieces and melt in the microwave until smooth. White chocolate has a tendency to burn if overheated, so do this in small bursts, checking and stirring as you go. Spoon the melted chocolate into a piping bag and drizzle over the icing. "How To Make A Healthier Victoria Sponge"
"Chimichurra Fire Fish With Smoked Chimmichurri Mayo…"
Those scones look and sound delicious I love strawberry, vanilla and white chocolate combination so woild be great to see how these turn out. Omg!! These look amazing! I've never seen scones like this before. They look amazing! Proper recipe book stuff! This looks very delicious. I am definitely going to try making it for the kids.